Photographers from the Belfast Telegraph captured the aftermath of the Belfast Blitz in 1941 when Luftwaffe bombs devastated the Newcastle Street area. 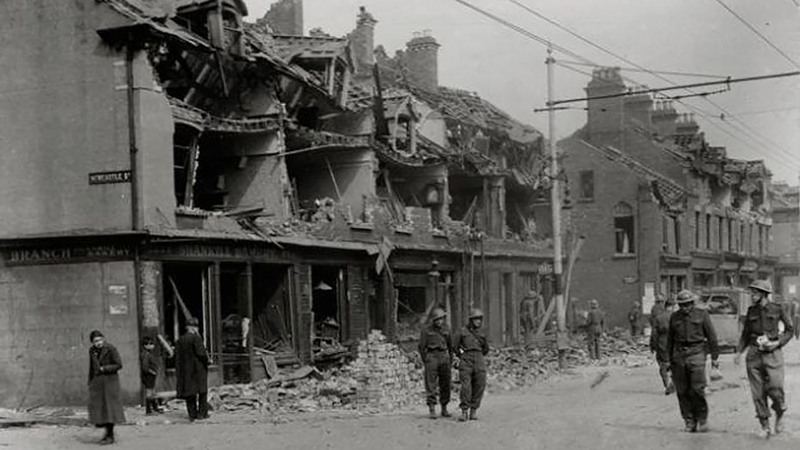 Belfast Telegraph Photo: Residents and military personnel take in the destruction of a block of shops on the corner of Newcastle Street off the Newtownards Road, Belfast, Co. Antrim after the Belfast Blitz in May 1941. Copyright Belfast Telegraph. If you enjoyed this post on "Newcastle Street, Belfast, Co. Down", please share with your friends and followers.